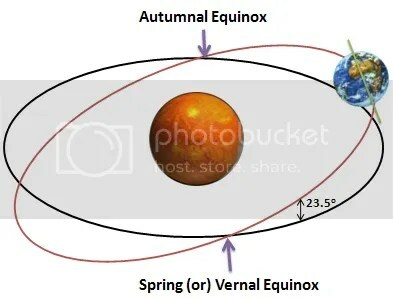 2014 Spring Equinox Is At 12:57 Eastern (U.S.), 16:57 GMT/UTC, Thursday, March 20, 2014. Happy Spring. >> — Mar. 20, 2013.
since it has been a week since I have had to shovel. [Plus I have, honestly, been sans sin for 11 years! could pull that off — though just admitting this could be a sin! The predicted ice storm Saturday night looks more serious. I ran my two generators last Friday for practice. But, we are turning the corner. That is really what matters. (April 20 for ‘un-Orthodox’ Christians). but they mean diddly to me. Most likely that we will get a ‘First Day of Spring 2014’ Google Doodle tonight. Dartmouth (N.H.) HOP: A Free, ‘Radical Jewelry Makeover’ Community Workshop. Looks Like A Load Of Fun. >> — Feb. 1, 2014. Click to access the ‘HOP’ page for this fun event. Just got an e-mail about this ‘FREE‘ event. Looks very compelling and tempting. I told Deanna to sign-up. She and the kids will love it. So take this as a heads up and signup. the HOP invariably exceeds any and all expectations. Malaysian Airlines MH370: Stowaway In Navigation Bay Prior To Takeoff — Flying Plane To A Safe Landing. Navigation Bay and crawling. From the U.K. ‘Daily Mail’. Click to access original. More about navigation bay when the theory was that ACARS was turned off. From ‘Huffinton Post’. Click to access. Remember the theories from 48 hours ago when everybody was led to believe that the ACARS had been turned off (as opposed to it just staying silent for 30 minutes at a time). Well, all the talk was about the navigation bay underneath the cockpit, accessible via a trap-door, that one of the pilots would have had to crawl into — in order to disable the ACARS. Two key phrases from this: bay underneath and trap-door. Now lets turn that on its head. What if there was a stowaway (or two) inside that navigation bay. He (or they) could have come up via the trapdoor assuming that it can be opened from the bay. They could then have punched in the new course … fly West. This leads to a larger more generalized question. How do you check that there are no stowaways INSIDE a plane before it takes off? [Yes, I think I heard just in the last 10 days about another dead stowaway found in the wheel well of a jumbo]. Now remember we are not talking about a U.S. airport or even one in Europe. How stringent is access to a parked 777 being serviced. We all know that at least 30 or 40 folks swarm around these planes preparing it for a flight. Could one of them hide inside the plane. Until today I hadn’t given this much thought. Who checks that a plane is ‘clean’ — and, of course, they could be ‘bought’. This is what I do. my mind never stops thinking, even when I am asleep. So all sorts of theories pop into my head — such as the Maldives being an option. Yet again there is talk tonight that the plane never crashed into the ocean and that instead it was piloted to a remote airfield. I have said that from day ‘one’. Go check. Tonight I heard on Fox (yes, I do watch Fox occasionally when the stupidity of CNN exasperates me) that the plane is in remote Western Pakistan — and that the U.S. knows more than it is willing to currently let on. Of course that is plausible — BUT I think it took a very circuitous loop below Sri Lanka, around India and swept into Pakistan from the sea to avoid Indian radar. That begs the question as to whether it had enough fuel for that entire loop. But, NOW put that together with the supposed sightings in southern Maldives. If it refueled getting to Pakistan would be a breeze. 5,751 hits in the DAY yesterday! 4,300 on my original Maldives post. No, NOT the most hits I have had in a day. That was last year when Benedict XVI (#266) announced his resignation.